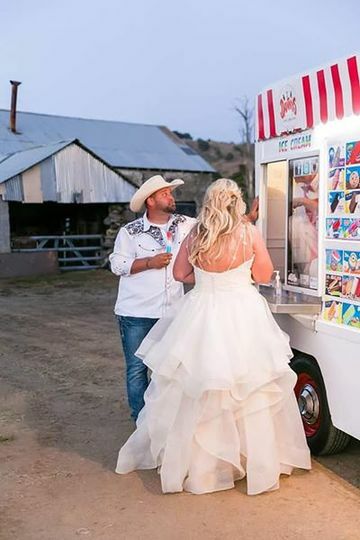 Danny’s Ice Cream Truck and Ice Cream Cart is a fun ice cream catering company based out of San Diego, California that serves couples all over San Diego County Their goal is to provide you and your guests with memories to last a lifetime. They'll work with you one-on-one to ensure your wedding reception is everything you dreamed it to be. 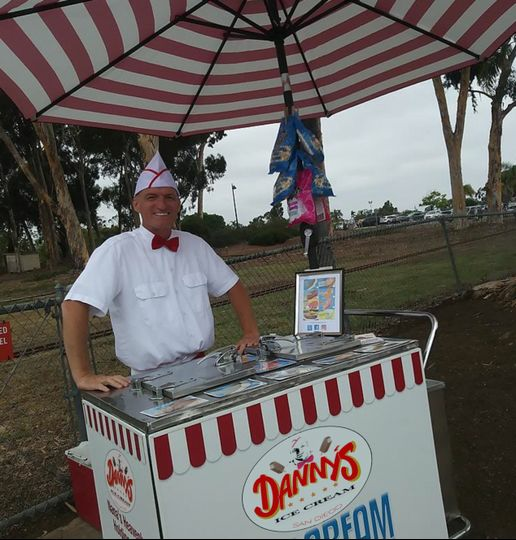 Danny’s Ice Cream Truck and Ice Cream Cart looks forward to being the nostalgic treat at the end of your evening with their old fashioned truck and red bow tie service. 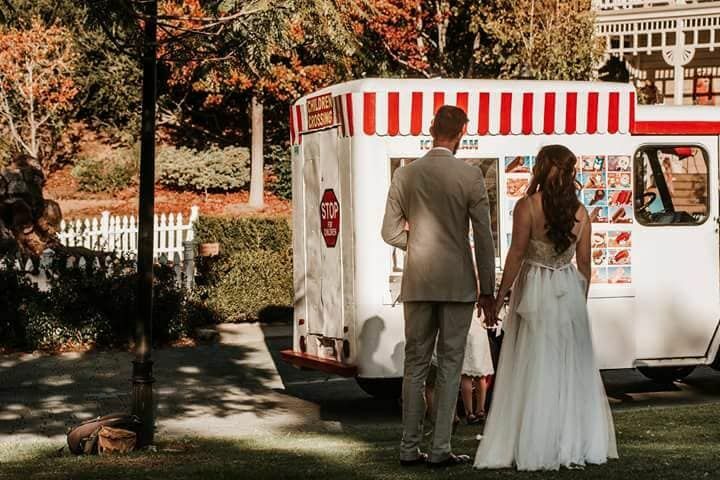 This unique catering company prides themselves on their professional, friendly service and the freshest ice cream products available. They offer all of your childhood favorites, along with gluten free, sugar free, dairy free, soy free and vegan options. 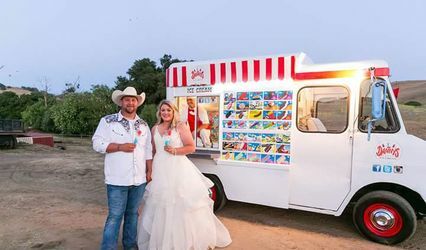 Their mobile ice cream truck or cart is available to come directly to your venue, and their passionate staff will serve you and your guests dressed in a classic ice cream man uniform, complete with a red bow tie. Their truck also makes for amazing photo opportunities for you and your spouse. 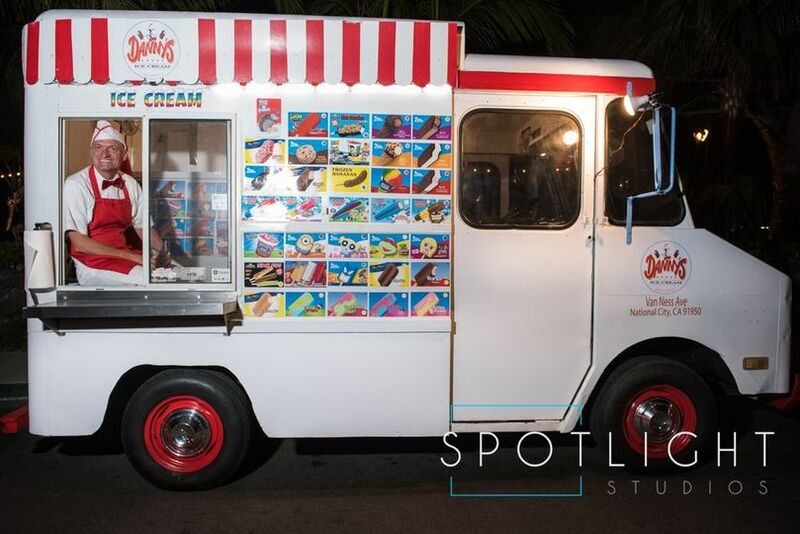 The diverse menu at this creative company includes over 30 options to choose from, including big dipper cones, ice cream sandwiches, chips galore, fudge bars, bomb pops and more. Their trucks can hold over 1,800 ice cream novelties, ensuring there’s plenty of ice cream to go around. They are glad to create a custom menu for you. 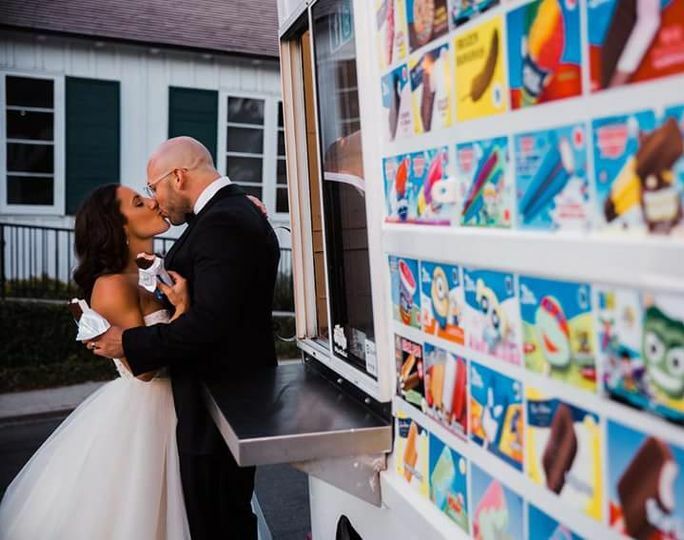 I hired Dan and his ice cream truck for my wedding and he was a HUGE hit. My friends and family were thrown back in time with the red bow tie service and retro style truck. Working with Dan was one of the best wedding decisions I made. He embraced the whimsy and really made the whole experience fun for everyone. I highly recommend! !